Joseph Young was born April 7, 1797, in Hopkinton, Massachusetts. 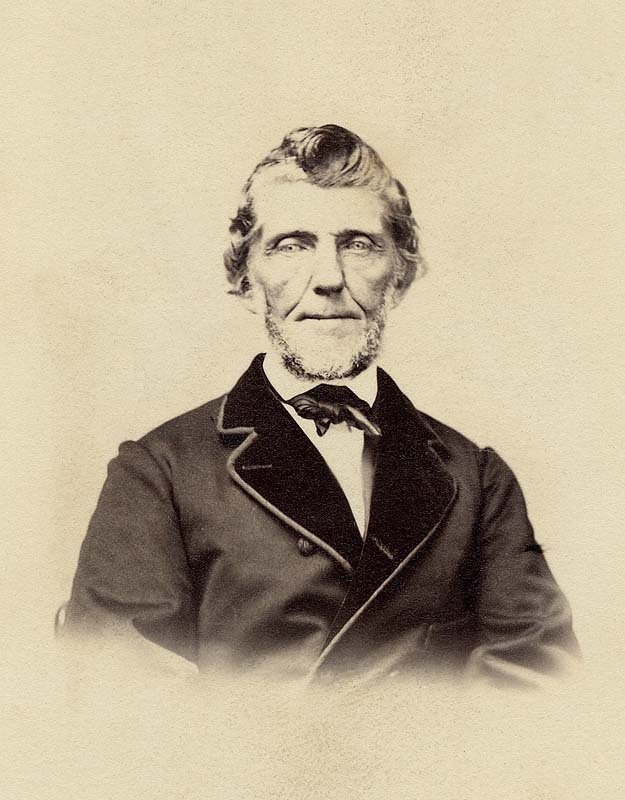 An early convert to The Church of Jesus Christ of Latter-day Saints, he worked on the Kirtland Temple, participated in Zion's Camp, was in the Haun's Mill Massacre, and was expelled with the Saints from Missouri and Nauvoo. 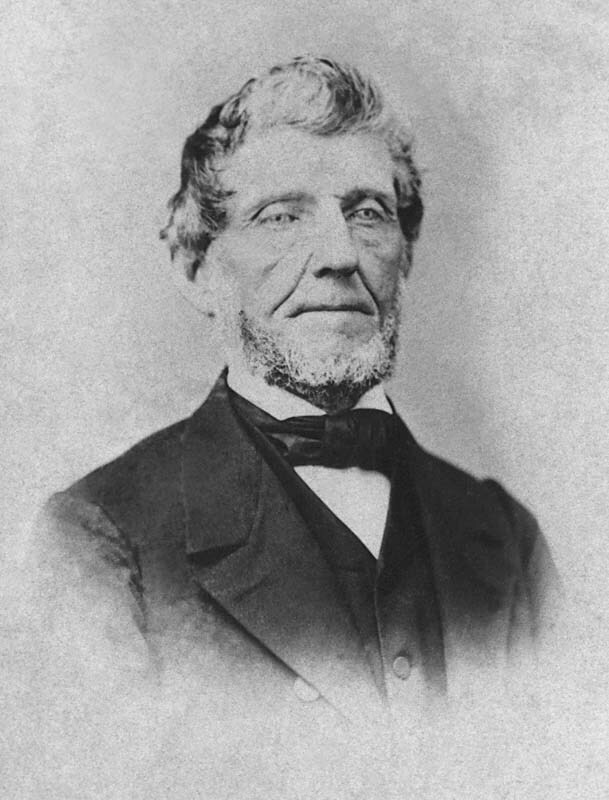 He was called as one of the Presidents of the Seventy when Joseph Smith first organized the quorum. He soon became its senior president and served in that position for the rest of his life. 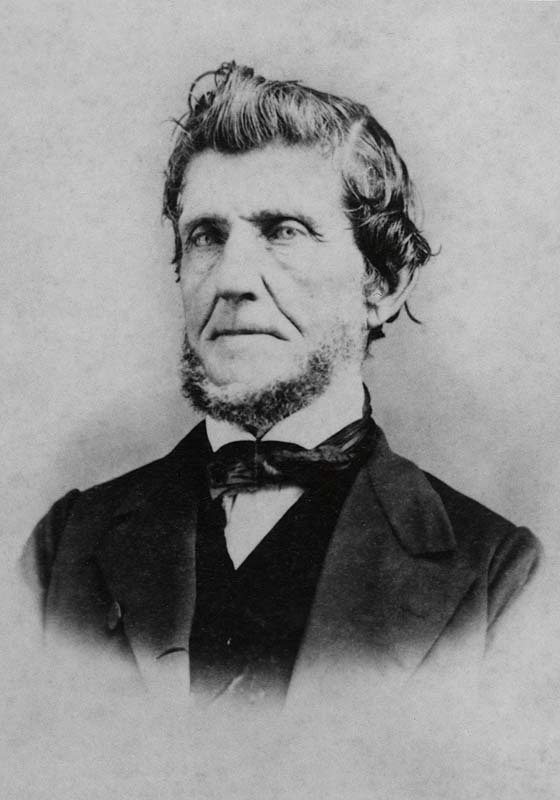 In 1850 he led a copy of pioneers to Utah, where he had grazing grounds and ran a mill. 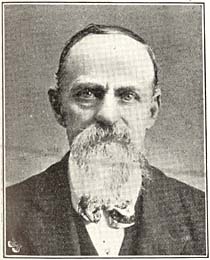 For 30 years he traveled throughout the territory preaching to and encouraging the Saints and delivering aid to of missionaries and their families. Joseph had 6 wives and 22 children. He died July 16, 1881, in Salt Lake City, Utah. 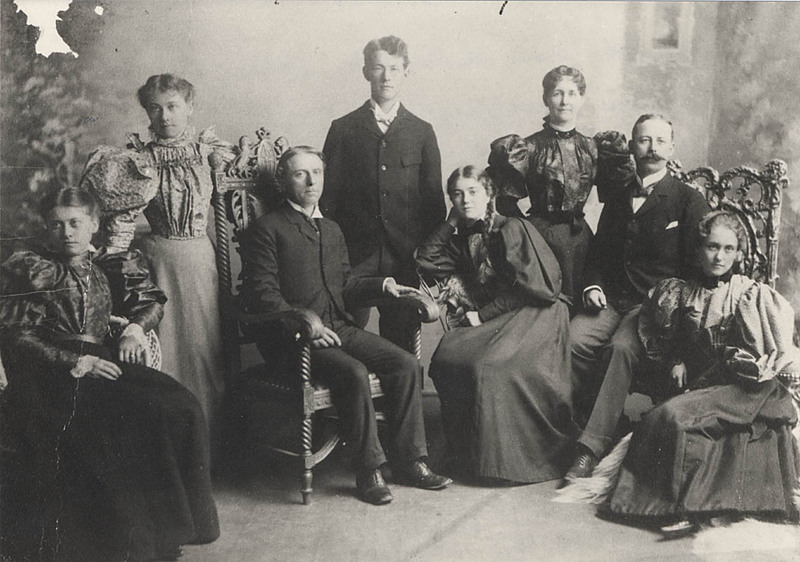 Note: This page is a collection of resources for family historians working on Joseph's family. 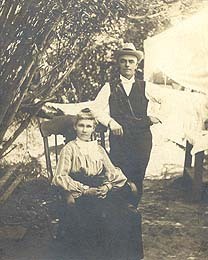 It is a subpage of the John Young Family History Page, found at http://young.parkinsonfamily.org/john. Most or all the photos listed here are available as high-resolution scans or high-quality photo prints free or at cost to family members. Direct inquiries to the webmaster, Ben Parkinson, at "feedback at parkinsonfamily.org" (replace "at" with "@"). Joseph's family. If you have questions, suggestions, or information to add, please contact the webmaster, Ben Parkinson, at "feedback at parkinsonfamily.org" (replace "at" with "@"). 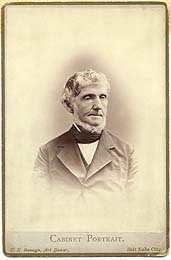 Lorenzo Dow, Brigham, Phinehas, Joseph, John Jr.
Joseph Young, The Chronological, Byographical and Historical Incidents of the Life of Joseph Young Senr Written by Himself ," from volume 6 of his diary in LDS Archives. Transcribed and proofread by Benson Young Parkinson. This replaces the 15 page handwritten copy made by Seymour B. Young Sr that has circulated as a photocopy and typescript. Note: SBY's version is missing two pages from the original, and the copy in BYU archives is missing a page of SBY's transcript . This version corrects both emissions. ———, Account of 1844 Mission, from his journal. Transcribed and proofread by Benson Young Parkinson. Joseph stayed with his father-in-law Calvin Bicknell (see letters below) and received one indirect death-threat (Joseph Smith was killed while Joseph Young was on this mission). ———, Diaries and Accounts. 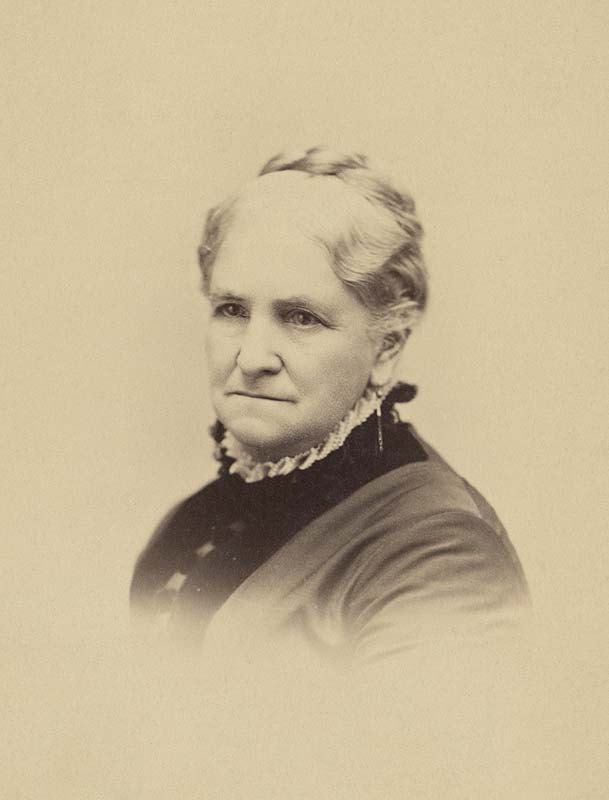 BYU Special Collections has 1848�55 online in PDF as well as online transcript, at Trails of Hope: Overland Diaries and Letters, 1846�69. Also a notebook from 1868�69. ———, Diaries and Accounts. 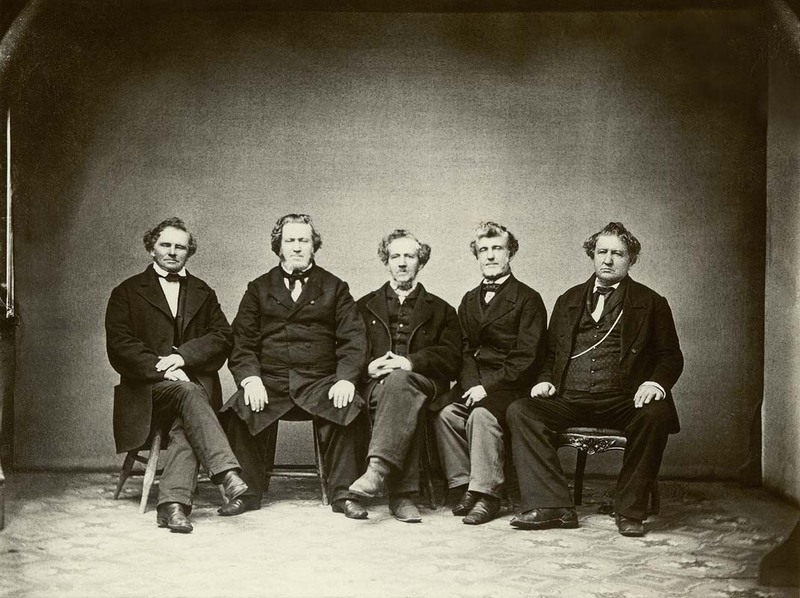 LDS Archives has 8 volumes: 1844�55; 1856�80; 1868�77; 1870�72; 1871; 1872�81; 1875�79; and 1877�81. Mostly accounts and speech notes. Volume 6, 1872�81, includes his Autobiography (listed above) as well as daily entries from the 1870s. Partial transcript (unproofed of daily entries) by Ben Parkinson. Some of the other volumes have some daily entries. LDS Archives MS 1741. ———, notebook, ca. 1868–1871; financial notations, LDS Archives, MS 5649. ———, Account of Haun's Mill Massacre, in Alexander L. Baugh, "Joseph Young's Affidavit of the Massacre at Haun's Mill," BYU Studies 38, no. 1 (1999), 188�2 (BYU Special Collections has the original document); or in John P. Greene, Expulsion of the Mormons: Facts Relative to the Expulsion of the Mormons or Latter Day Saints from the State of Missouri, under the 'Exterminating Order'" (off-site), (another version), reprinted in Clark V. Johnson, ed., Mormon Redress Petitions: Documents of the 1833�38 Missouri Conflict, Religious Studites Center, Brigham Young University, Provo Utah, 1992, pp. 28�; see also his brief affidavit on page 386; or in An Appeal to the American People (Cincinnati, 1840) (off-site); or Times and Seasons, vol. 1, no. 10 (Aug. 1840) (off-site); or in B. H. Roherts, ed., History of the Church of Jesus Christ of Latter-day Saints, 2d ed. rev., 7 vols. 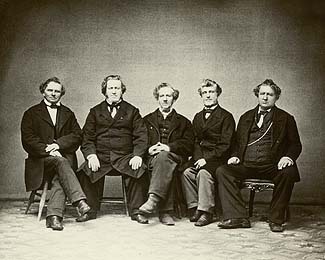 (Salt Lake City: Deseret Book Co., 1970), 3:183–86; or in History of Joseph Smith, October, 1838, in Deseret News, 29 Oct. 1853; or "Massacre at Haun's Mill," in Autobiography of Parley P. Pratt, ch. 24. See the next item for Jane Bicknell Young's perspective on the massacre. Joseph Young, Statement of Latter-day Saint Beliefs, in John Hayward, The Religious Creeds and Statistics of Every Christian Denomination in the United States and British Provinces (Boston, 1836), 139�; sometimes referred to as a precursor of the Articles of Faith. 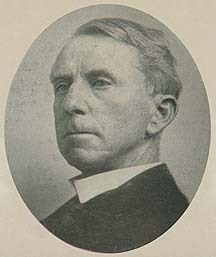 ———, History of the Organization of the Seventies: Names of the First and Second Quorums, Items in Relation to the First Presidency of the Seventies, also a Brief Glance at Enoch and His City, pamphlet, 1878, 16 pages; includes interesting comments on his experiences with Joseph Smith and on Zion. ——— et al., "Circular, to the Bishops, High Priests, Seventies and Saints Generally throughout the Territory," broadside, 1861; LDS Historical Department Library; on the Seventies Hall of Science. Joseph Young, Speeches Reported in the Deseret News, 1850–81, with some comments by others. ———,"Remarks on Behalf of the Indians," in Journal of Discourses, 9:229 (13 Jul. 1855). ———, "Discourse by Prest. 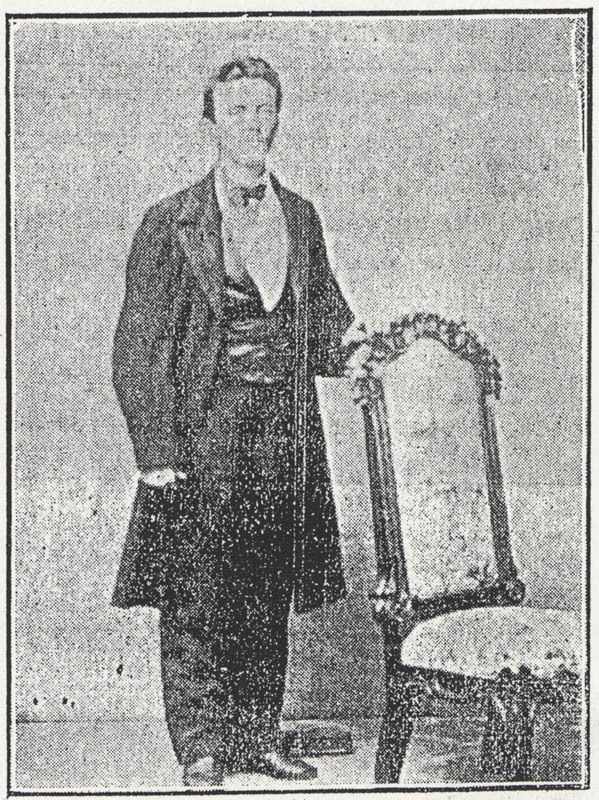 Joseph Young, Tabernacle, March 1st, 1857," Deseret News, 11 Mar. 1857. ———, "Discourse by President Joseph Young, Bowery, Wednesday Afternoon, April 8, 1857," Deseret News, 29 Apr. 1857; or "Personal Interest in the Kingdom of God - Endowments - Hints to Preachers, Etc.," in Journal of Discourses, 6:241 (April 8, 1857). ———, "Remarks by Pres. Joseph Young, Bowery, Sunday Afternoon, July 26, 1857," Deseret News, 5 Aug. 1857; or "Unpopularity of 'Mormonism' - Redemption of the Dead, Etc." in Journal of Discourses, 6:226 (July 26, 1857). ———, "Happy Prospects of the Saints - Persecution - Union, Etc.," in Journal of Discourses, 6:206 (October 11, 1857). Joseph Young, letter to Phinehas Richards, Kirtland, Ohio, 27 Oct. 1836, BYU Special Collections, Vault MSS 306. He talks about working as a painter in Kirtland and invites Phineas to join him and Brigham. Webmaster has a transcript. ———, letter to Jane A. 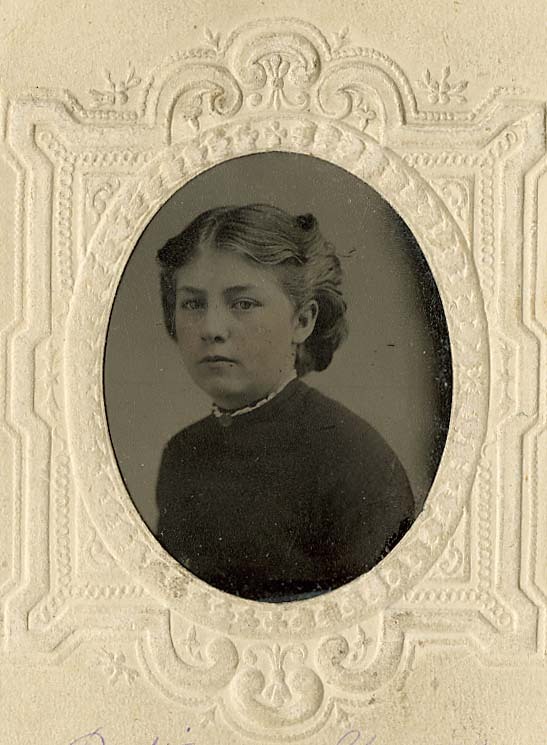 Young, Nauvoo, Illinois, 14 Jun. 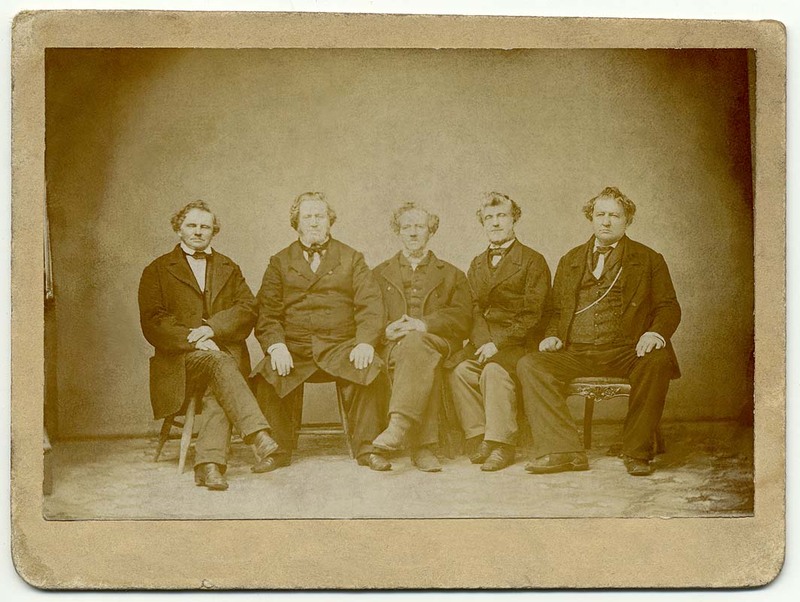 1844, LDS Archives, MS 2091 fd 1; or BYU Special Collections, Vault MSS #317. Written during his 1844 mission to Ohio (see journal excerpt above). Family affairs and mission details. ———, letter to Calvin and Chloe Seymour Bicknell, Great Salt Lake City, 28 June 1855, in Laurence Bicknell Johnson, The Pines Letters (Bordentown, N.J, 1954), pp. 31–33. ———, letter to Julius Wells Hatch in Bay City, Michigan, July 1868. LDS Archives, MS 13864. ———, letter to Brigham Young, Liverpool, England, 12 July 1870. Report on his mission to England. Copy in webmaster's possession. ———, letter to George Q. Cannon, Liverpool, England, 14 July 1870, Deseret News, vol. 19 (10 Aug. 1870), p. 321. Report on his mission to England. ———, letter to Lewis Harvey, Salt Lake City, 16 Nov 1880, LDS Archives, MS 2304; or BYU Special Collections MSS SC 1001. 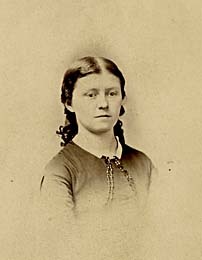 Jane Bicknell Young, letter to sister Julian Bicknell Johnson, Kanesville, Pottawattamie County, Iowa, June 1848, in Laurence Bicknell Johnson, ed., The Pines Letters (Bordentown, N.J, 1954), 30–31. Calvin Bicknell, letter to Joseph and Jane A. Young, 6 Apr 1856, Clarksburg, Ohio, LDS Archives, MS 2091 fd 2. Calvin is Jane's father. Calvin Bicknell, letter to Jane A. 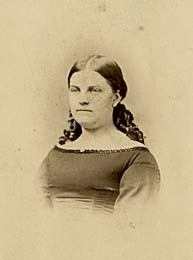 Young, Nov 1865, Clarksburg, Ohio, LDS Archives, MS 2091 fd 2..
Hurlburt Bicknell, letter to Julian Johnson, 1847; in Laurence Bicknell Johnson, ed., The Pines Letters (Bordentown, N.J, 1954), 29; comments on Joseph and Jane's situation in Iowa. Laurence Bicknell Johnson, The Pines Letters (Bordentown, N.J, 1954), 112 pages. 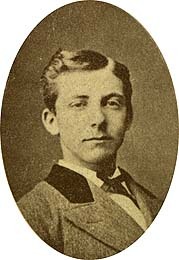 Transcripts of many letters to and from Calvin Bicknell's family, including some from Jane, Joseph, and Le Grand Young (see above for selected transcripts). Vilate Young, Jane Adeline Bicknell Young; sometimes called "From the Statement of Vilate Young, 1907 (Notes on the Life of Her Mother, Jane Bicknell Young)"; I have several versions, including a faint photocopy of a handwritten version which appears to be the original. This gives much detail on Jane and Joseph and basically completes "The Chronological..." through the Nauvoo period, and also gives some Bicknell genealogy. Title on one of the transcripts Transcript from holograph. 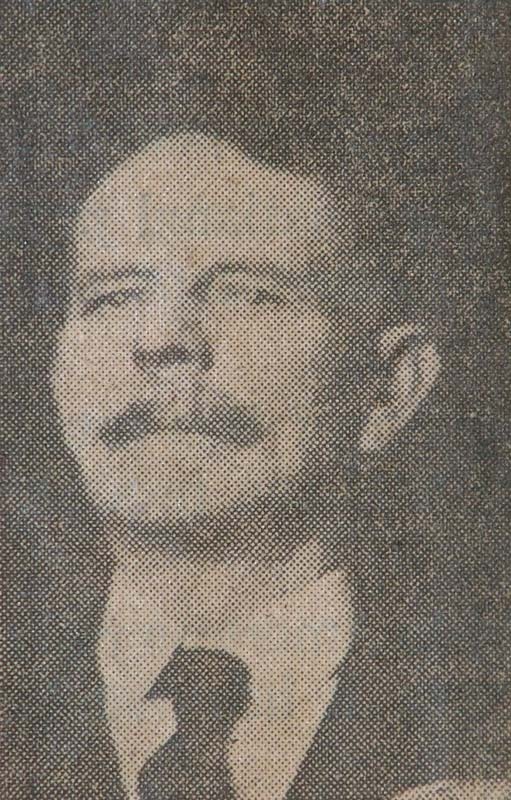 Seymour B. Young Sr., How I Gained My Testimony, in Young Woman's Journal, vol. 4. no. 5 (Feb 1893), pp. 217�. The first few pages give glimpses of Joseph Young as a father and healing a man as they crossed the plains. 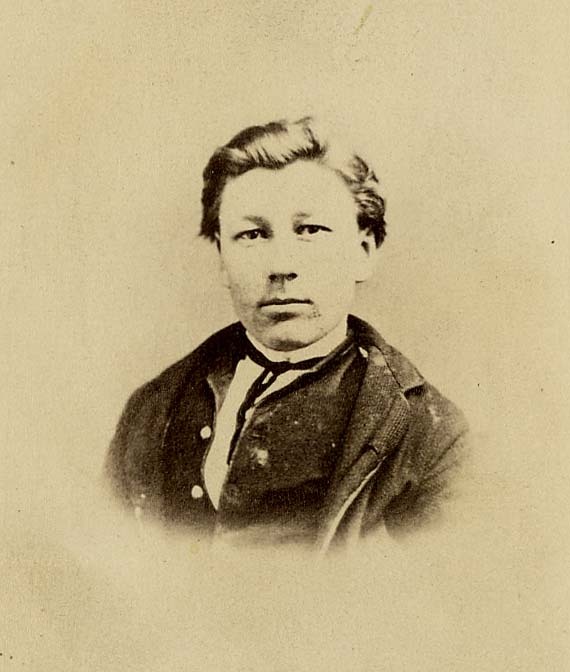 History of Joseph Young, in "History of Brigham Young," The Deseret News, vol. 7 no. 47 (27 Jan. 1858), p. 1. Reprinted in Millennial Star, vol. 25, no. 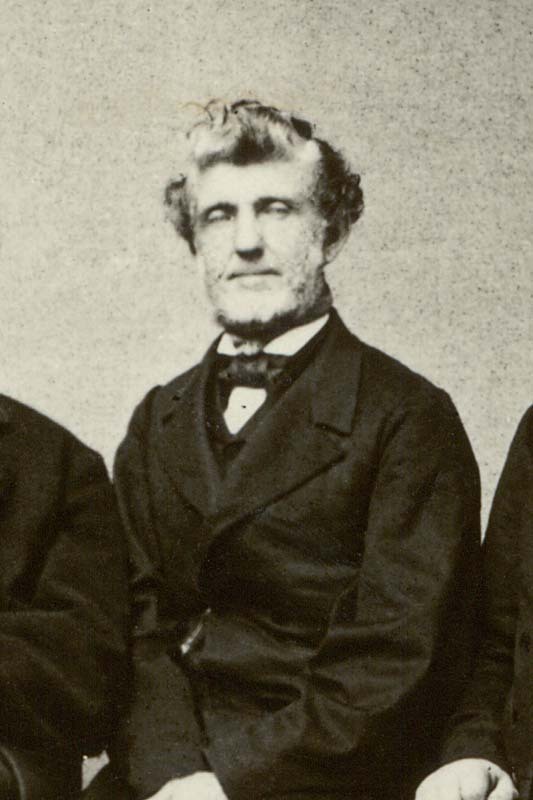 20 (16 May 1863), pp. 311 ; also Manuscript History of Brigham Young, 1801�44, ed. Elden Jay Watson (Salt Lake City: Smith Secretarial Service, 1968), pp. i杧xx. 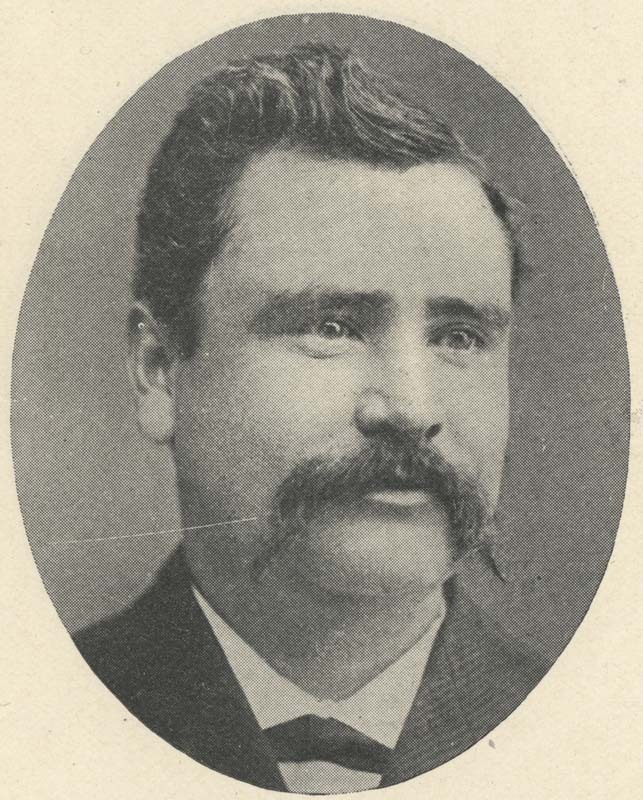 "Joseph Young," in Biographical Record of Salt Lake City and Vicinity (Chicago: National Historical Record Co., 1902), p. 141�. 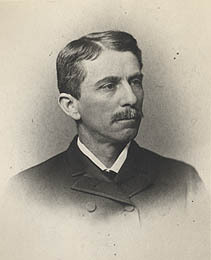 "President Joseph Young," in Contributor, vol. 2 no. 12 (Sept. 1881), 353–57. The bulk of this is Joseph Young's Haun's Mill Massacre manuscript. "Joseph Young Installed as Senior President of Seventies," LDS Leaders of Prominence series, Church News, week ending 15 Sept. 1962. 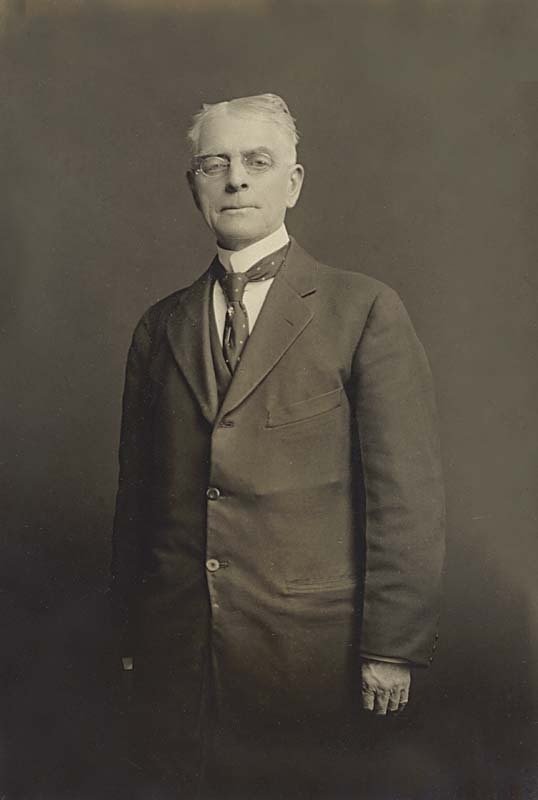 Charles Nibley, "Clifford E. Young: Assistant to the Council of the Twelve," Improvement Era, March 1957, 144�, 185�, 189� (includes a couple of paragraphs on Joseph). "The Mormons: History of Their Leading Men," American Phrenological Journal and Life Illustrated, vol. 44, no. 5, November, 1866, p. 144�1; includes woodcuts similar but inferior to a series in Harper's Weekly (see photos above). 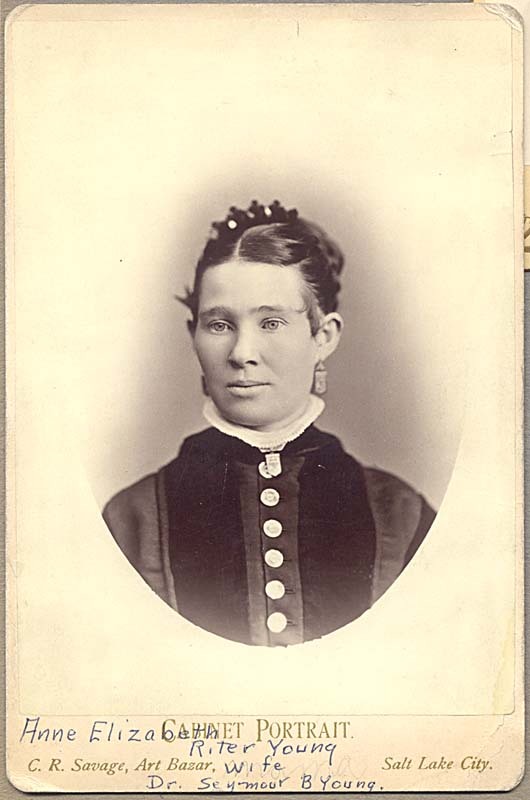 "Jane Adeline Bicknell Young," Pioneer Women of Faith and Fortitude, Daughters of Utah Pioneers, vol. 4 p. 3506. 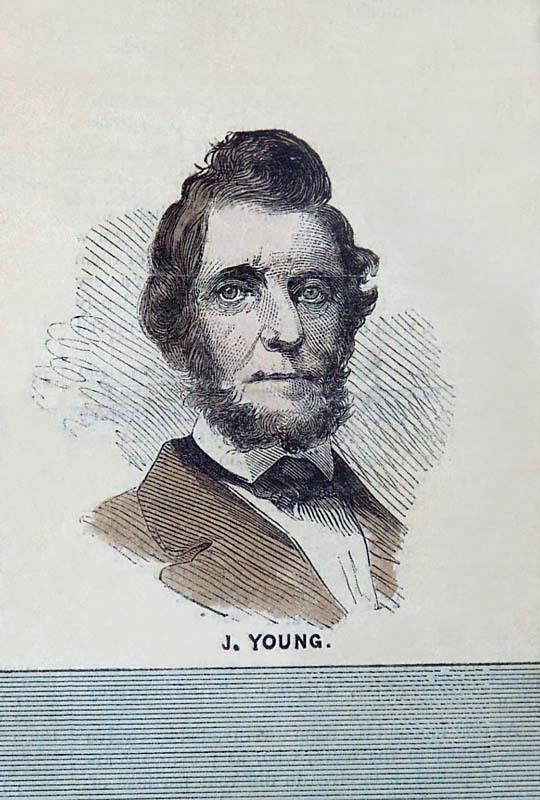 "Joseph Young," on Grandpa Bill's G.A. Pages (off-site). Another version. Larry C. Porter, "Whitingham, Vermont: Birthplace of Brigham Young—Prophet, Colonizer, Statesman," in Susan Easton Black and Larry C. Porter, Lion of the Lord: Essays on the Life and Service of Brigham Young (Deseret Book, 1995), 1–19; good background on Joseph's childhood. ———, "Brigham Young: 'The Man for the Hour Will Be Ready Whenever the Hour Strikes,'" forum address at Brigham Young University, January 27, 1998 (offsite); good background on Joseph's childhood. Richard F. Palmer and Karl D. Butler, Brigham Young: The New York Years (Provo, Utah: Charles Redd Center for Western Studies, 1982); good background on Joseph's childhood..
Vilate Young, Jane Adeline Bicknell Young; sometimes called "From the Statement of Vilate Young, 1907 (Notes on the Life of Her Mother, Jane Bicknell Young)"; I have several versions, including a faint photocopy of a handwritten version which appears to be the original. This gives much detail on Jane and Joseph and basically completes "The Chronological..." through the Nauvoo period, and also gives some Bicknell genealogy. Transcript from holograph. Jasmine Young Freed, Excerpts from Personal History, unnumbered typescript pages from Jane Hinckley; good glimpses of Jane. Kara Seager-Segalla, comp., "Jane Adeline Young Robbins," posted on worldconnect.rootsweb.com, last updated 2006-01-11, used by permission. 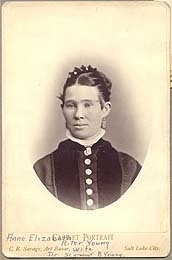 This history and its companion pieces (see below) compiles the information from several histories submitted to the Daughters of Utah Pioneers and adds new information. Note: See the correction in husband Charles's funeral, which implies that Charles and Jane did not separate. 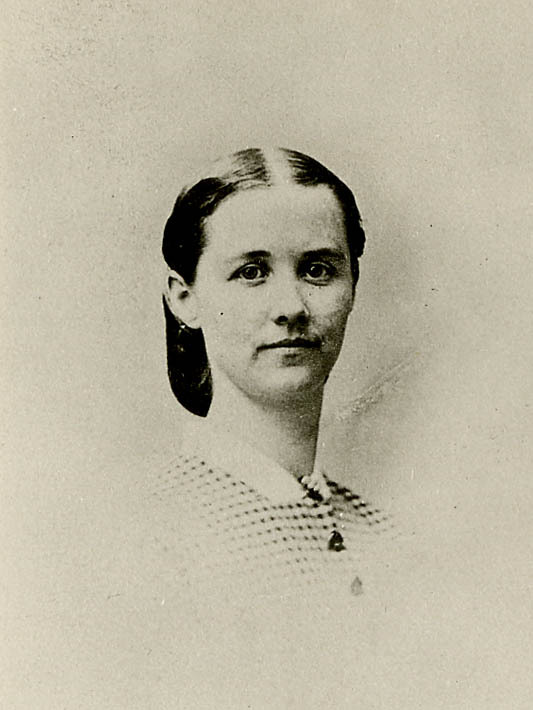 "Jane Adeline Young Robbins," compiled by Ben Parkinson. 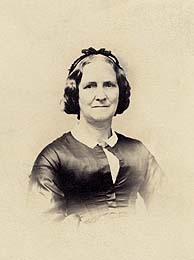 Jane Adeline is Joseph and Jane's 1st child. "Charles Burtis Robbins," Andrew Jenson, comp., Latter-day Saint Biographical Encyclopedia, vol. 2 (1914), pp. 74�. Charles is Jane Young's husband. Obituary and Funeral of Charles Burtis Robbins, The Journal, Logan City, Utah, Saturday, November 11, 1905. Note: Please see correction in th second article, which clarifies that Jane did not separate from Charles. Roettta Kilfoyle, "Charles B. Robbins—Pioneer of 1853, " on file at the Daughters of Utah Pioneers museum. Fern Robbins McKendrick, "Charles Burtis Robbins," Sept. 1984, on file at the Daughters of Utah Pioneers museum. Alice Allred, "History of Charles Burtis Robbins," May 2003, on file at the Daughters of Utah Pioneers museum. Kara Seager-Segalla, comp., "Charles Burtis Robbins," posted on worldconnect.rootsweb.com, last updated 2006-01-11, used by permission. 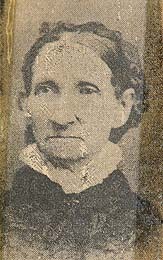 Kara Seager-Segalla, comp., "Martha Allen," second wife of Charles Burtis Robbins; posted on worldconnect.rootsweb.com, last updated 2006-01-11, used by permission. Kara Seager-Segalla, comp., "Harriet Vilate Pitkin," third wife of Charles Burtis Robbins; posted on worldconnect.rootsweb.com, last updated 2006-01-11, used by permission. Seymour Bicknell Young, Diaries, around 40 volumes, Historical Department Archives, The Church of Jesus Christ of Latter-day Saints. These mix family and Church business so are restricted. I have notes on several volumes, particularly on his 1857 mission to England and his experiences in the Union Army. ———, Diary, 22 Feb.–22 Apr. 1876, transcript, in Miriam B. Murphy Papers, 1970–1988, Utah State Historical Society. Seymour B. Young Jr., "The First State Mental Hospital," 26 Jan. 1938, 1 page typescript. Maryan Lambert Watrous, "Dr. Seymour Bicknell Young," 8 page typescript; edited version appears in Kate B. Carter, ed. Our Pioneer Heritage, (Daughters of Utah Pioneers, 1958), 20:59–62. Louine Young Cromar, "Life of Dr. Seymour Bicknell Young," 2 page typescript. Heading on page 2 is "Dr. Seymour B. Young's Family." Hortense Young Hammond, Interviewed by Leonard R. Grover, 15 Mar. 1980, Charles Redd Center for Western Studies, LDS Polygamy Oral History Project, 21 page typescript, BYU Special Collections. Hortense Young Hammond, Interviewed by Scott Hammond, 1981, Charles Redd Center for Western Studies, LDS Polygamy Oral History Project, 1959–1982, 14 page typescript, BYU Special Collections. Newspaper Obituaries, from photcopies from the Daughters of Utah Pioneers. Obituary, Improvement Era, Vol. Xxviii. Jan. 1925 No. 3. 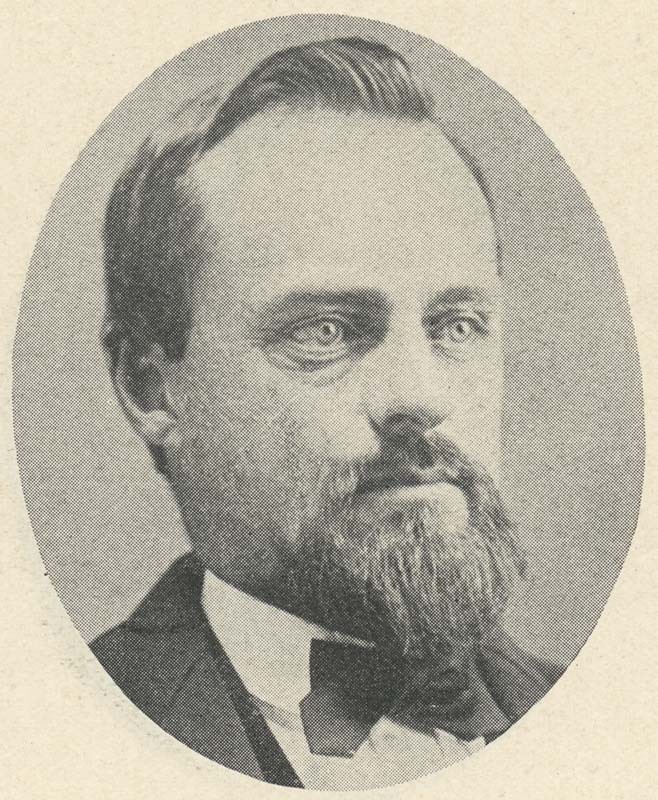 Lennie S. Riter, comp., "The Life Sketch of Seymour Bickwell Young, Pioneer of 1850," information furnished by his son, Clifford E. Young, and his granddaughter Edith Young Harris. On file at Daughters of Utah Pioneers Museum. Edith Young Harris and Miriam Young Farnsworth, "Seymour Bicknell Young," submitted 2001, on file at Daughters of Utah Pioneers Museum. Seymour Bicknell Young Jr., "Ann Elizabeth Riter Young," 2 page typescript, dated 3 June 1932, with comments added by Louine Y. Cromar on 1 Feb. 1981. Maryan Lambert Watrous, "History of Ann Elizabeth Riter Young," 1982, on file at Daughters of Utah Pioneers Museum. Lucile Y. Reid, "Sketch of the Life of LeGrand Young, A Utah Pioneer of 1850," 1833, on file at Daughters of Utah Pioneers Museum. 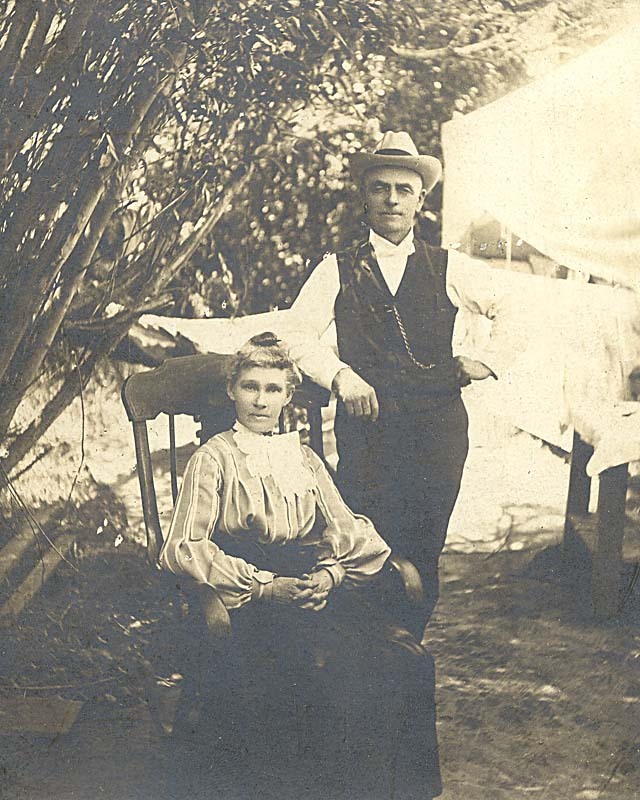 Jeffrey Carlstrom and Cynthia Furse, "The Emigration Canyon Railroad," The History of Emigration Canyon (Utah State University Press, 2003), 73–86. LeGrand owned the railroad. Larry Decker, Le Grand Ward History, 1913–1980. 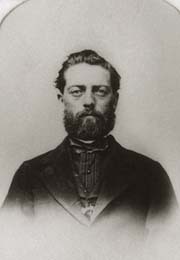 The ward was named for LeGrand. Various undocumented clippings on file at Daughters of Utah Pioneers Museum. Obituary of Lucinda Allen Young, Deseret News, 8 Jun 1920, p. 1. Includes good if somewhat brief biographical information. Additional notes on Phineas Howe Young, from the Museum of Church History and Art and elsewhere. Sarah Jane Snow Kinsman Young—Still Looking! Please share your histories and photos. Our goal is to gather transcripts and high-resolution scans on Joseph, his wives, all their children, and all their spouses, and make them available to all family members. Contact Benson Young Parkinson, webmaster, at "feedback at parkinsonfamily.org" (replace "at" with "@"). 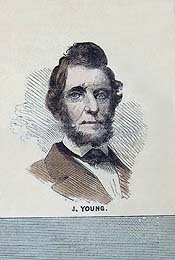 John Young Family History Page, Joseph's father. The Family of Seymour B. Young, Joseph's son. Brigham Young Family Association, Joseph's brother. Contact Benson Young Parkinson, webmaster, at "feedback at parkinsonfamily.org" (replace "at" with "@")..